and Action Gold Series 1/64 Diecast, by Lionel Racing Collectables. 16 Drivers. 10 Races. 1 Champion. From the countdown at Chicagoland to the final laps of Homestead, the Chase for the NASCAR Sprint Cup competition is the pinnacle of every NASCAR season. 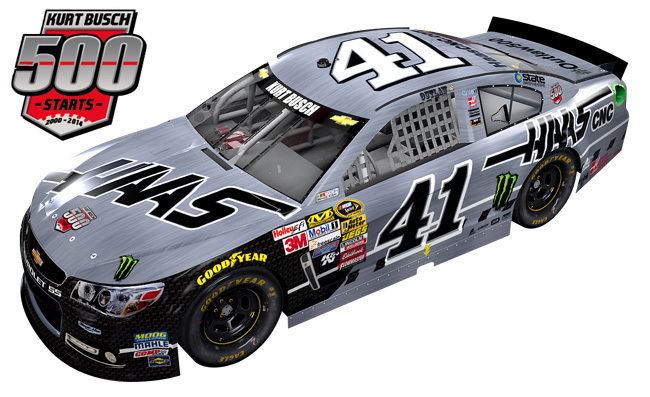 All 16 NASCAR Championship contenders will be easily identified on track with specially designed race cars that feature "Chase" themed elements. The Chase contender cars will feature a yellow front splitter, yellow rear spoiler, yellow windshield banner, and a special NASCAR Sprint Cup Series logo and Contender logo. This diecast car does feature the NASCAR Chase for the Sprint Cup yellow windshield header, valance and roof car number (picture attached). 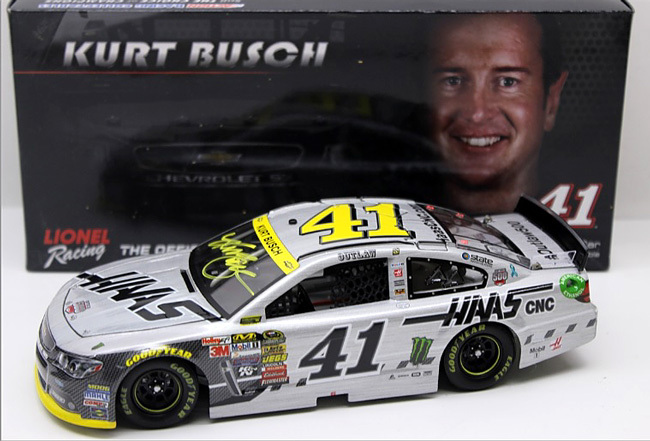 Autographed version available $74.99 - Autographed by Kurt Busch, on the windshield in Yellow. Includes certificate of authenticity. 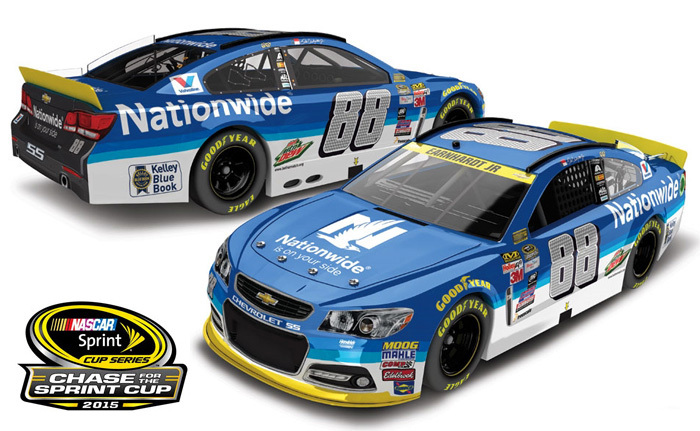 2015 Dale Earnhardt Jr #88 Nationwide Insurance / Chase for the Sprint Cup / Chevrolet SS NASCAR diecast, by Action. The Hendrick Motorsports #88 Chase for the Sprint Cup Chevrolet SS was raced by Dale Earnhardt Jr, while in contention for the 2015 NASCAR Sprint Cup Championship. 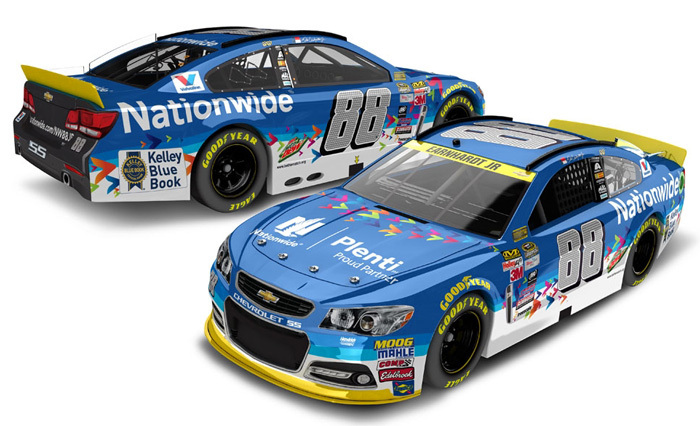 2015 Dale Earnhardt Jr #88 Nationwide Plenti / Chevrolet SS NASCAR diecast, by Action. The Hendrick Motorsports #88 Nationwide Plenti Chevrolet SS was raced by Dale Earnhardt Jr in the NASCAR Sprint Cup, AAA 400 at Dover International Speedway on October 4, 2015. 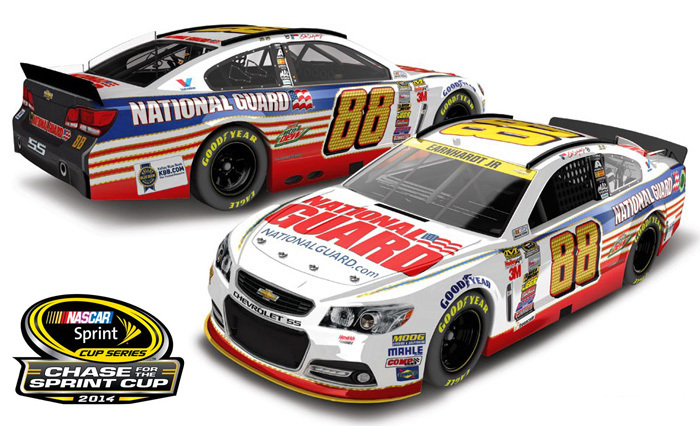 2014 Dale Earnhardt Jr #88 National Guard / Chase for the Sprint Cup / Chevrolet SS NASCAR diecast, by Action. The Hendrick Motorsports #88 Chase for the Sprint Cup Chevrolet SS was raced by Dale Earnhardt Jr, while in contention for the 2014 NASCAR Sprint Cup Championship. 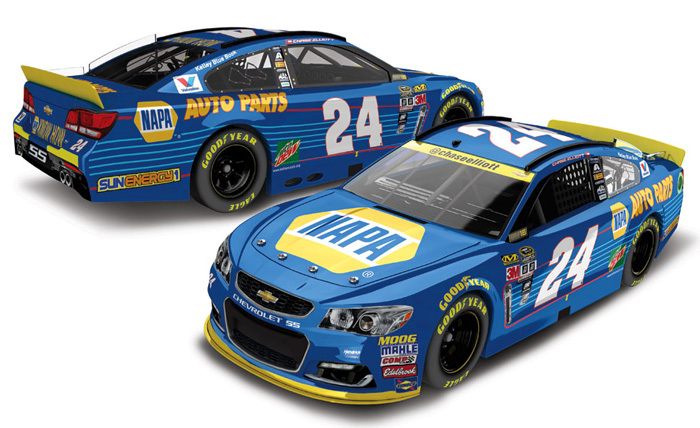 2016 Chase Elliott #24 NAPA Auto Parts / Chase for the Sprint Cup / Chevrolet SS NASCAR diecast, by Action. 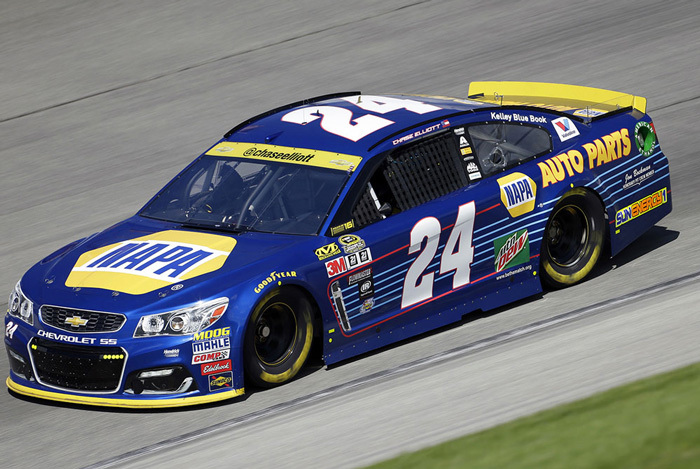 The Hendrick Motorsports #24 NAPA Auto Parts Chase for the Sprint Cup Chevrolet SS was raced by Chase Elliott, while in contention for the 2016 NASCAR Sprint Cup Championship. 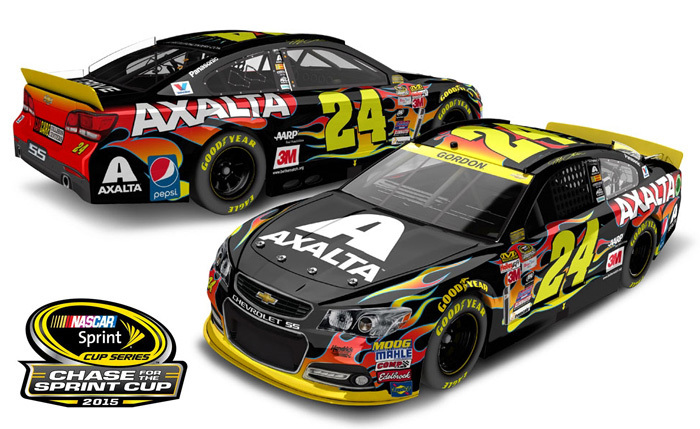 2015 Jeff Gordon #24 Axalta / Chase for the Sprint Cup / Chevrolet SS NASCAR diecast, by Action. The Hendrick Motorsports #24 Chase for the Sprint Cup Chevrolet SS was raced by Jeff Gordon, while in contention for the 2015 NASCAR Sprint Cup Championship. 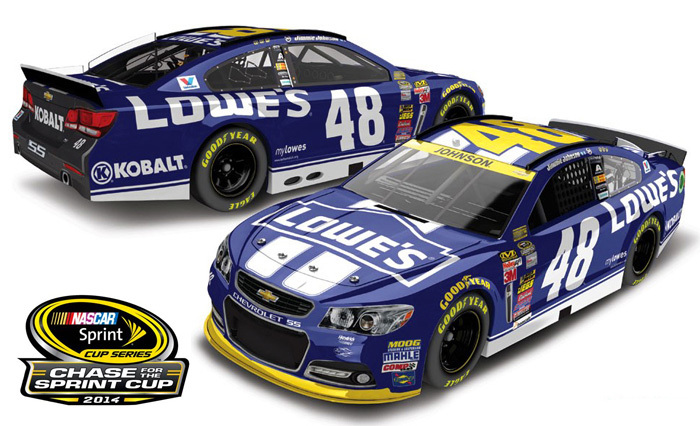 2014 Jimmie Johnson #48 Lowe's / Chase for the Sprint Cup / Chevrolet SS NASCAR diecast, by Action. The Hendrick Motorsports #48 Chase for the Sprint Cup Chevrolet SS was raced by Jimmie Johnson, while in contention for the 2014 NASCAR Sprint Cup Championship. 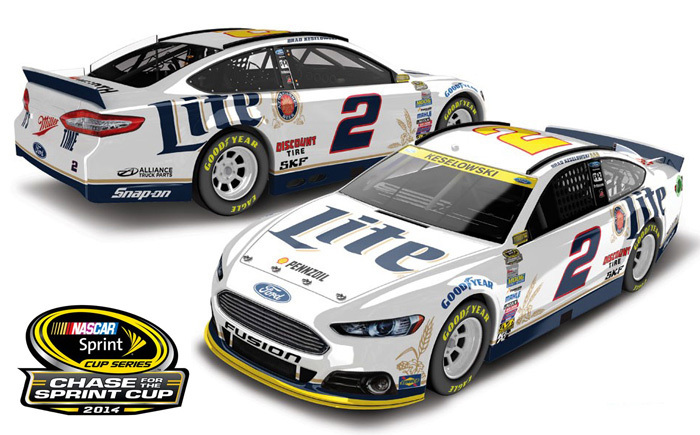 2014 Brad Keselowski #2 Miller Lite / Chase for the Sprint Cup / Ford Fusion NASCAR diecast, by Action. The Penske Racing #2 Chase for the Sprint Cup Ford was raced by Brad Keselowski, while in contention for the 2014 NASCAR Sprint Cup Championship. 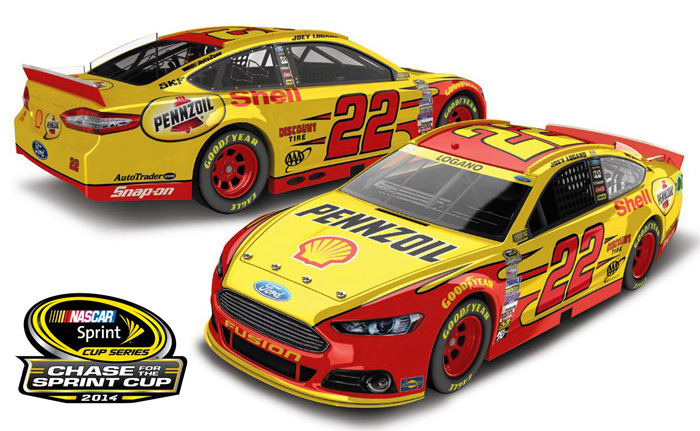 2014 Joey Logano #22 Shell / Chase for the Sprint Cup / Ford Fusion NASCAR diecast, by Action. The Penske Racing #22 Chase for the Sprint Cup Ford was raced by Joey Logano, while in contention for the 2014 NASCAR Sprint Cup Championship.